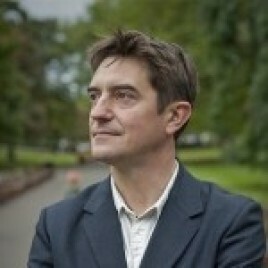 Director of the Edinburgh International Book Festival since 2009. The Festival, started in 1983 as a biennial event and organised every year since 1987, is one of the key cultural events taking place in August in the capital of Scotland. During its over twenty years of history, the Edinburgh Book Festival has become the largest and the most dynamic festival of this type in the world. It is organised in the scenic, historical gardens in Charlotte Square in Edinburgh, which are listed as a UNESCO World Heritage Site.